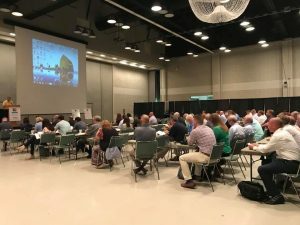 The Kentucky Manufactured Housing Industry offers several opportunities throughout the year to educate its members on an ever-changing industry. 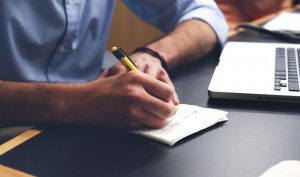 Whether the education is the required continuing education hours for certified installers or best practices for retailers or community owners, KMHI is the source for a strong knowledge base. The beginning of 2019 has brought many changes to our industry in regard to regulations and code enforcement. KMHI was persistent in keeping its members and the members’ consumers in mind when pushing back on several of the new regulations and learning all that was necessary in order to digest the information and educate KMHI’s members. This has proven to be lifesaving for many of KMHI’s members who do not have copious hours to read, research, and understand pages and pages of regulations. Below, you will see just a few of the educational opportunities that KMHI offers. Each year, KMHI holds an annual conference for all members. At this annual meeting, speakers from inside and outside of the industry present sessions on various topics pertinent to the manufactured housing industry or improving personal skills. To see a lineup of this year’s speakers, click here. 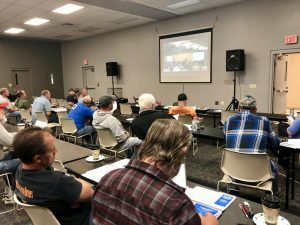 The 5-Hour Continuing Education Installer Course is sponsored by the Kentucky Manufactured Housing Institute and is approved by Building Code Enforcement. You will receive 5 hours of credit for re-certification as a manufactured home installer. The industry’s well-known trainer in the area of manufactured home installation, George Porter of Manufactured Housing Resources, has created this ManufacturedHome Installation -Online Training program. With humor and simple (but comprehensive) explanations of the installation process, this course will take the installer from the first to the last step to installing a manufactured home. The 15-Hour Initial Certified Installer Course is sponsored by the Kentucky Manufactured Housing Institute and is approved by Building Code Enforcement. You will receive 15 hours of credit for the purpose of certification as a manufactured home installer. Subject matter for this course is devoted to the proper and legal (code) set-up and installation of manufactured homes in the Commonwealth of Kentucky. Emphasis is made on the manufacturer’s instructions and the Kentucky Code to instruct potential applicants to become a manufactured housing certified installer. You must satisfactorily complete the 15-hour course, course exam, and installer experience form prior to applying for your initial certified installer certificate. If applying for “certified manager”, no experience form is required. To register for the 15-Hour Course, contact the Manufactured Housing Institute, Lee Krinzman at lkrinzman@mfghome.org and let Lee know you would like to register for the 15-Hour Online Course for Kentucky. He will send you the payment and schedule link.